Summer. Mountains. Great leisure time. A long evening with this special crackling in the air. Mountain peaks illuminated by the moon under the starry sky. This is just normal in Sölden when you are on a summer holiday in Ötztal. Alpine life awakens at sunset, giving way to a wonderful day full of thrilling activities and nature exploration. Alpine surprises in a row, sporty challenges in abundance. Cycling and mountain biking fans, for example, enjoy myriad valley trails, forest routes or single trails - covering incredible 700 kilometers. Walking enthusiasts are recommended to follow the beautiful walking paths and Alpine hiking routes while climbers can choose from several "vertical" hot spots. Spend a truly magnificent summer holiday between the valley floor and the eternal glacier ice in Sölden, Ötztal. Where summer time is synonymous with adventure time. Unequaled adventures are already included in the ultimate Ötztal Premium Card – all summer highlights and attractions in Sölden at a glance. You can take full advantage of unbeatable services: free use of bus lines and summer mountain lifts within the valley - taking you to the area's most spectacular vantage spots, free admission to museums, swimming pools, fun parks and other recreational highlights in Sölden. This is a summer vacation how it really should be. 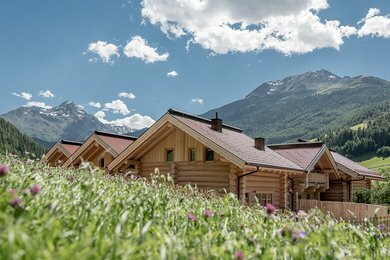 Guests of our Chalet Resorts receive the splendid Ötztal Premium Card for memorable summer holidays in Sölden free of charge. It's always good to have an ace in the hole - all Ötztal highlights included in a single Card: free use of bus lines and mountain lifts, free activities & a lot more. Breathe crisp mountain air. Feel the power of nature while enjoying superb panoramic views: walking in Sölden stands for happiness and joy at every turn. The Ötztal Valley makes a real heaven for cycling and mountain biking fans. Pedaling towards the sun on countless trails, scenic routes and leisurely paths. Ötztal is Tirol's biggest granite climbing area with a huge choice of great spots for climbing aficionados - steep walls and varied climbing terrain for all abilities. The Aqua Dome spa center combines awesome mountain exploration and splendid wellness on some 50,000 square meters. Well-being in the long term. We love Tirol's summer mountains. We are enthusiastic about summer sports and we know the holiday region like the back of our hand. Therefore we can't wait to share our experience with you. We are happy to provide you with useful tips and advice about walking routes, hiking tours, cycling or mountain biking trails and climbing hot spots for all ability levels. It's our aim to make your summer holiday in Sölden a very unique and memorable one. Do you want a complete activity and to-do program suitable also for families and children? No problem: we know everything about exciting theme trails leading over suspension bridges, fairytale routes or water walks - comprising also the area's most thrilling playgrounds. Let's mark them with a big cross on your trail map! Where kids become real nature experts and explorers. The entire Ötztal Valley is a paradise for families and children of all ages - the moment you arrive at our Chalets in Sölden your kids' eyes will shine. 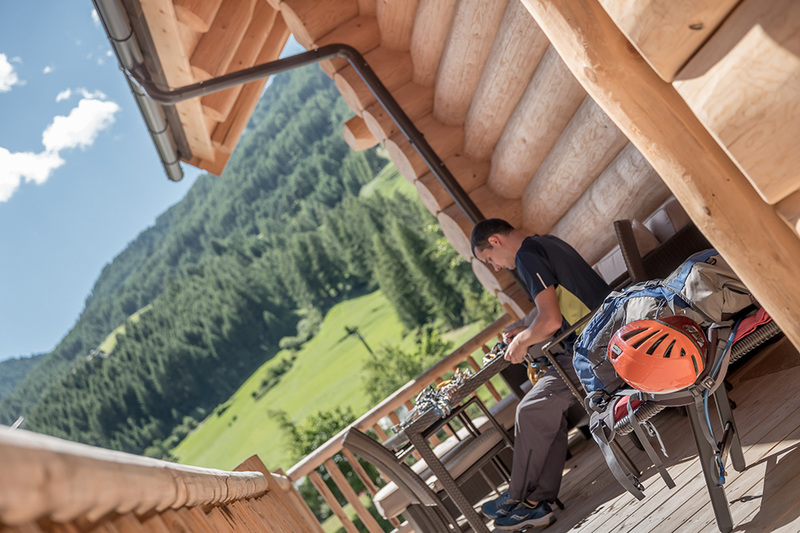 Childhood dreams come true in our quaint log cabins at the heart of the mountains! 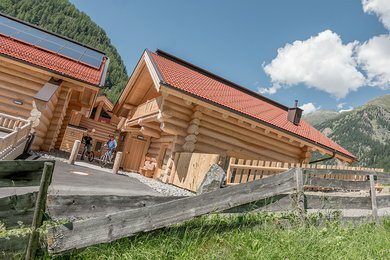 Young and older children will discover a whole new world with fascinating surprises: water fun, lofty mountain heights, time travel back to the mining period, Oetz adventure playground, magic torchlight walks through mystic Alpine forests - all these and many more attractions are scheduled during your summer holidays in Sölden.